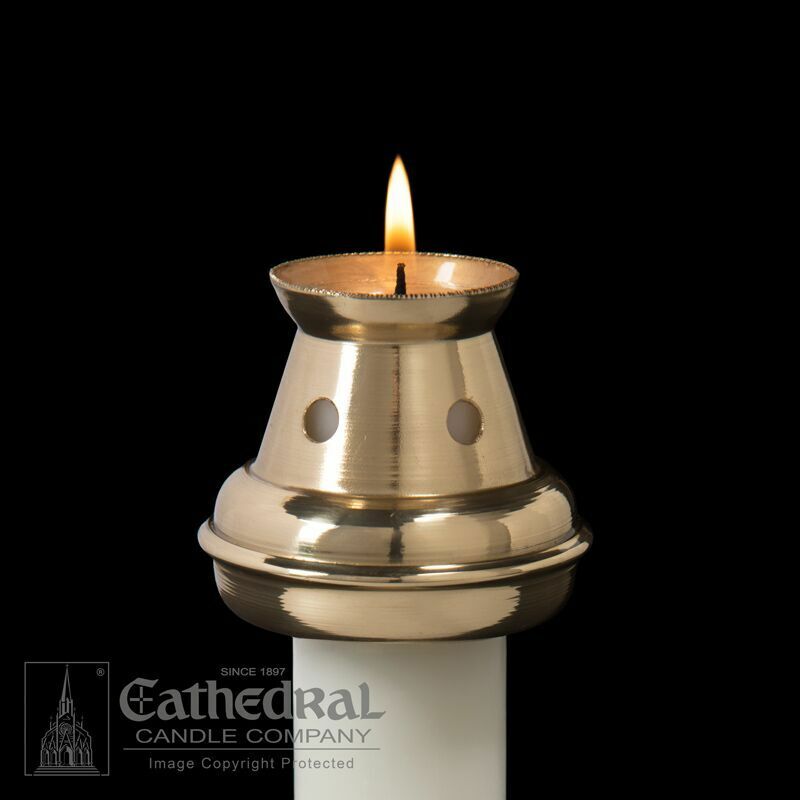 This Candle Follower is made in the Bove Style and molded from Solid Brass. Many Sizes Available. 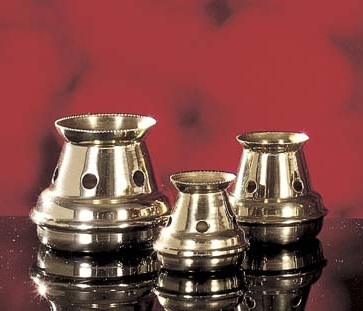 Candle followers improve the satisfactory and economical performance of your Church Candles by protecting the flame from drafts and creating and even burn. Please select your size.